Simon Thornton posted a fine eight under 65 to win the St Michael’s House Pro-Am at St Margaret’s Golf and Country Club. On a day of low scoring, the Tulfarris Golf Resort professional finished one shot ahead of Richard O’Donovan (Dun Laoghaire GC) and Tim Rice (Limerick GC). Simon got his round off to a positive start with birdies at the second and third. A bogey at the par four sixth was his only blip as he birdied the seventh and eighth to reach the turn in three under 33. He continued in the same vein on the back nine, picking up birdies at the 10th, 11th and 16th followed by an eagle at 17 to come home in 32. 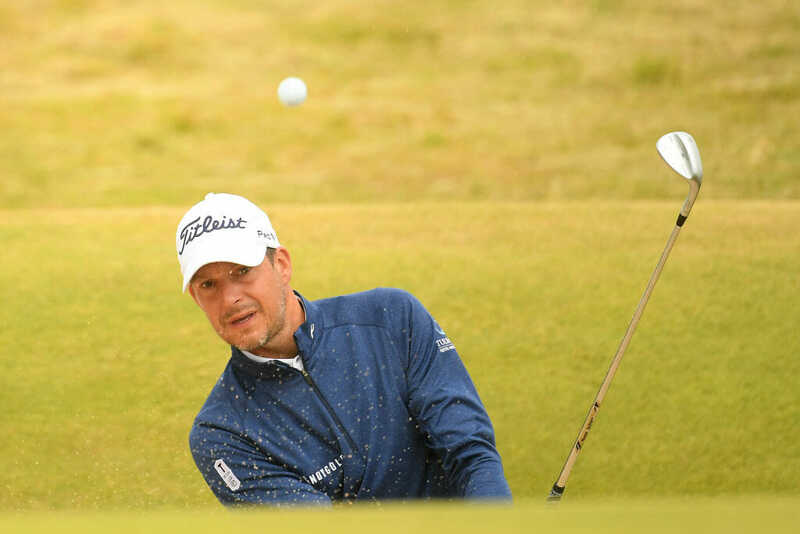 Reigning Irish PGA Champion, Tim Rice, went bogey free in compiling his 66 while O’Donovan, who started his round at the 10th, produced a superb six back nine of 31 (five under) to grab a share of third. The team prize went to Damian Mooney (Damian Mooney Golf) and amateur partners Mike Clancy, Brian Clancy and Dermot Nolan.